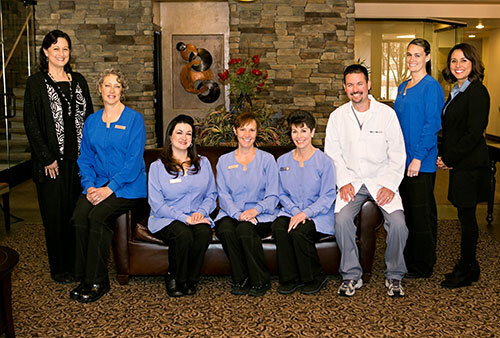 At Centennial Dental Group we believe most people want to be healthy. We serve everyone who comes seeking a preferred level of health. We share information that allows people to make intelligent choices regarding their dental health. We provide the highest quality dental care by being well trained, current in our techniques, and attentive to our patients needs, wants, and desires. We call ourselves a team because we are comprised of top quality professionals with the highest credentials. We have joined ourselves together through a strong belief that how we provide dental care for you today makes all the difference in what your oral health will be twenty years from now. Knowing full well that your future well-being gives us personal satisfaction and enjoyment, we have gone to great lengths to create an environment wherein a strong relationship between us can be established. In building this relationship, your perspective, opinions, concerns, and desires need to be clearly defined and communicated. After listening attentively and with much careful consideration of your unique situation, we will offer you the very best information available and explore all the alternatives in detail with you. This in turn will enable you to intelligently choose the alternative that is just right for you. If you have not made any decisions about your dental health for the future, we would be honored to introduce you to modern dentistry where a high degree of expertise, comfort, care, and quality can and should be expected.